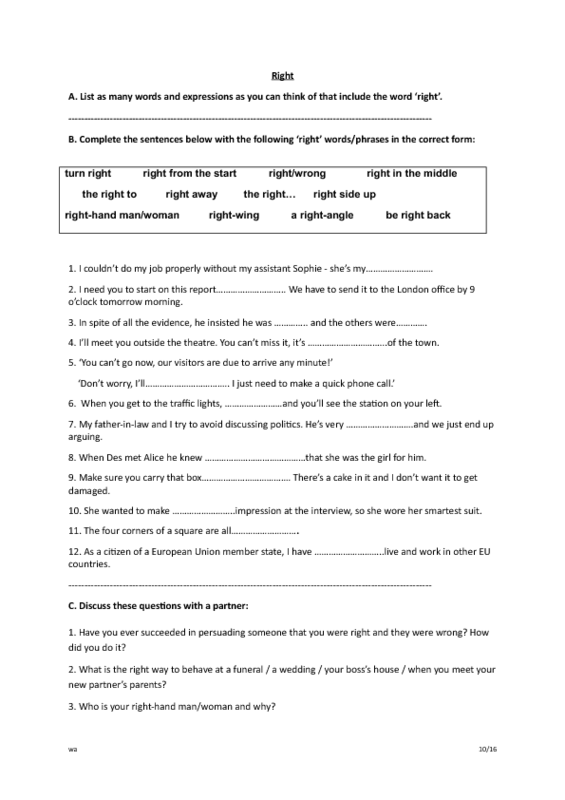 For pre-intermediate students and above, this is a lexis worksheet on various expressions that include the word 'right'. There is a lead-in section to elicit prior knowledge, a gap-fill section and a section with prompts for conversation. Can be used with a class or one-to-one.